The alarm system signals a sound or light when the door is not closed properly or when other errors occur. The egg rack keeps your eggs fresh and prevents them from cracking. In case of power failure, the cooler plate is released by the accumulator to release the cool air in order to maintain low temperatures. Save at the press of a button thanks to Eco-Mode. Just press a button to switch to the most economic operating mode. 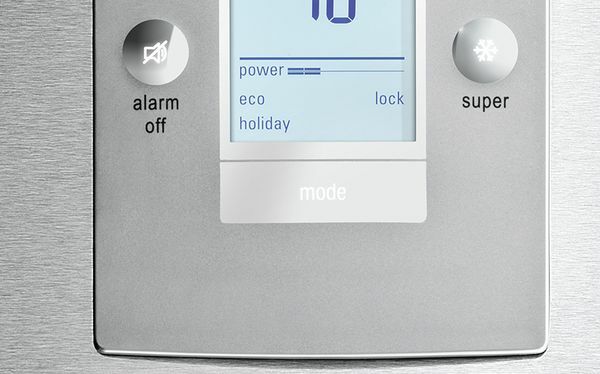 When you activate the EcoMode function, the fridge automatically adjusts to an economical chilling temperature. 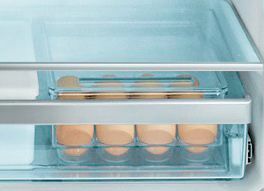 Conventional freezers might successfully freeze your foods, but keeping them frozen is not always guaranteed. 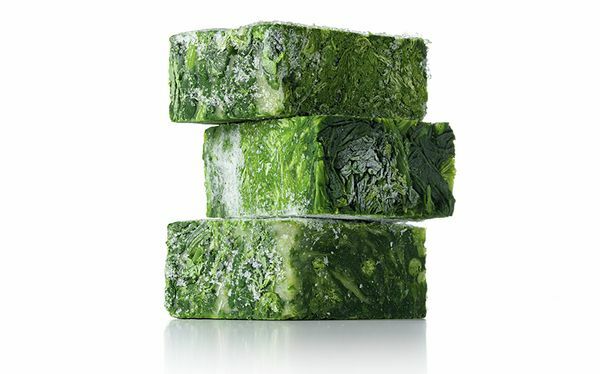 SuperFreezing freezes food faster and protects existing frozen food from defrosting when adding new food to the freezer. Appliances with an automatic freezing function return to normal operation once the required temperature is reached, preventing energy waste. Good for your food. Good for your energy usage. 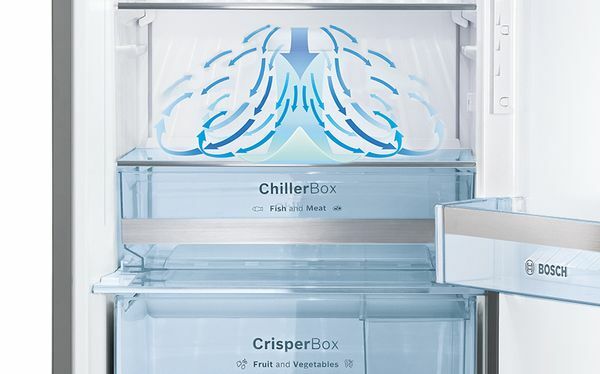 The fridge that knows how to keep its cool. Activating the SuperCooling function before you go shopping will lower the temperature for a short period of time to keep your fresh shopping at the right temperature. Thanks to the optimum storage conditions, your food preserves an ideal consistency; ice cream, for instance, is neither too soft nor too hard. 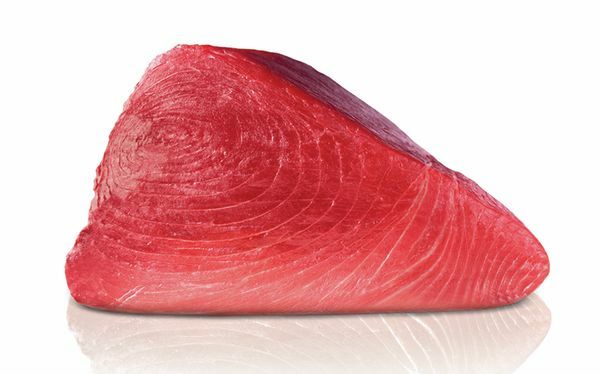 A constant temperature in the fridge interior is a decisive factor in achieving more freshness and flavour. 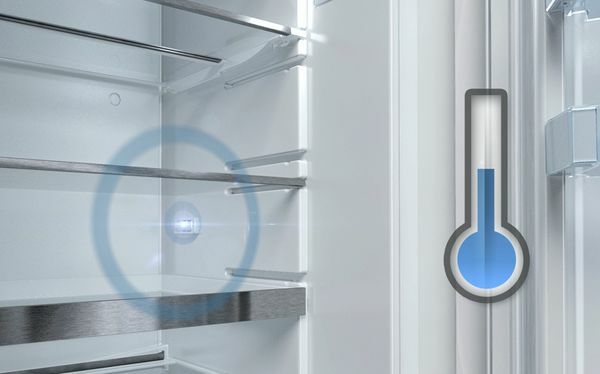 FreshSense sensors constantly monitor and control the ambient, fridge and freezer temperature. 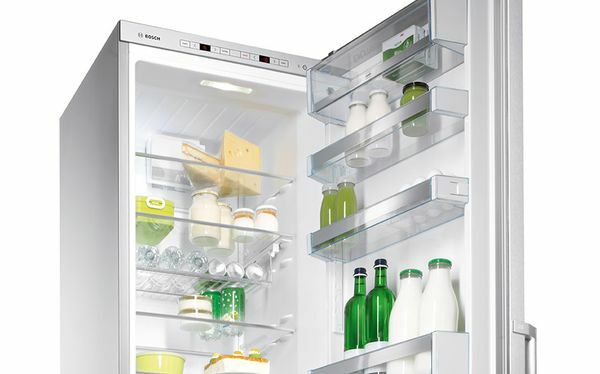 A constant temperature inside the fridge, independent of the outer temperature, is the result.